If popularity in the music industry was actually based on the quality of music, San Francisco’s Or, The Whale would be infiltrating everyone’s iPod and conquering the FM radio waves. Unfortunately that’s not the way the industry works. The assembled by way of Craigslist seven piece, Americana ensemble builds on the promise of their debut album with their self-titled sophomore effort. The vocal contributions from all seven members add infinite depth to their full, warm sound. The vocal harmonies, especially between Matt Sartain and Lindsay Garfield are arresting. They grab and don’t let go. They combine the best elements of Laurel Canyon and Haight-Ashbury folk rock with traditional country elements and endless melody on the opener, “No Love Blues,” and album highlight “Black Rabbit.” On many songs the music is slightly brighter than the lyrical content. On “Rusty Gold” guitarist/vocalist Sartain laments “My dog died and it broke my heart, letting go is the hardest part.” The vocal harmonies and music pick up as the lyrics continue to philosophize about life and death. They turn hopeful, dismal then hopeful again. What a musical and lyrical ride. The only disappointing thing about this album is just that. It’s an album. As good as they sound on the album they sound better live. I recommend catching one of their shows if you can. It’s always worth the price of admission. They do play Seattle often. Written by: Chris Senn on 12/21/2010. Last revised by: Dagmar, our reviewer, on 12/20/2010. 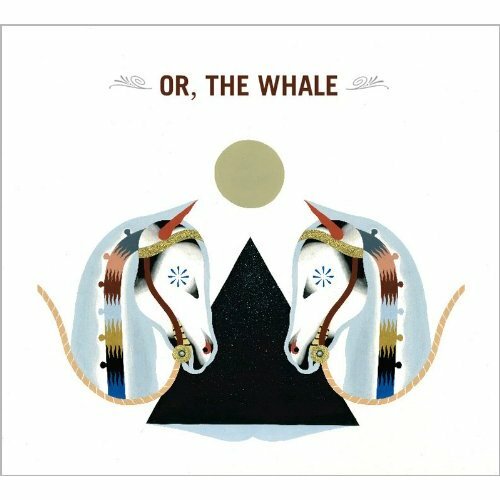 This entry was tagged Chris Senn, or, or the whale, posted by dagmar, Review by Chris Senn, the whale. Bookmark the permalink.